JOHANNESBURG (AP) — The leadership of South Africa’s ruling African National Congress party is holding a key meeting amid media reports of talks about the removal of President Jacob Zuma, whose scandal-plagued tenure has hurt the party’s popularity and the economy. The party’s National Executive Committee said Saturday that the ANC must rebuild trust with South Africans and reclaim a “moral legitimacy” that dates to its role as the main anti-apartheid movement but has been sullied by corruption allegations surrounding Zuma and his associates. 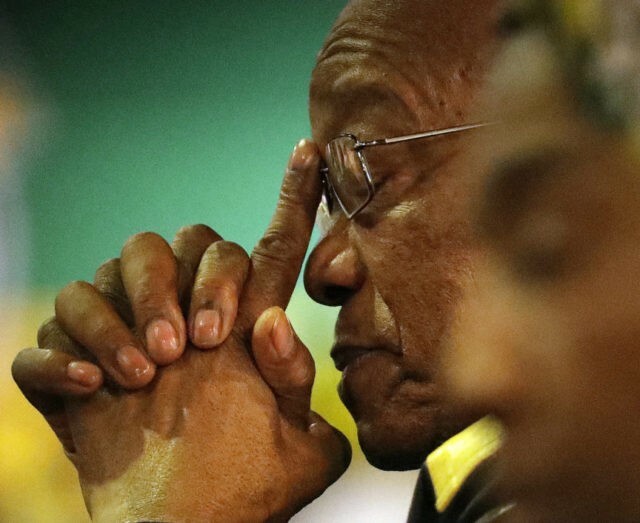 The ANC says its new leader, Deputy President Cyril Ramaphosa, and party officials will liaise with Zuma to ensure “effective coordination” between the party and the government. However, several South African media outlets say some senior ruling party officials are working to replace Zuma with Ramaphosa as president.